Where Could You Save With Cold-Formed Steel Framing? Cold-formed steel framing systems (CFS) offer many cost advantages. But exactly how much could you save by using CFS framing? See if you can guess the savings in three real-life scenarios. ​During construction of a credit union’s headquarters, the contractor learned that if he moved forward with wood trusses, he would need to install fire sprinklers. How much did he save by switching to CFS trusses? Incorrect. In this project, avoiding fire sprinklers with CFS trusses saved $40,000. Correct. In this project, avoiding fire sprinklers with CFS trusses saved $40,000. ​Builders risk insurance on a four-story, 400-unit hotel would have cost $1.6 million if it had been built with wood framing. How much did the builder save in insurance costs by switching to cold-formed steel framing? Incorrect: In this project, the same coverage with cold-formed steel framing cost $360,000, resulting in savings of $1.3 million. Correct: In this project, the same coverage with cold-formed steel framing cost $360,000, resulting in savings of $1.3 million. On a five-story apartment building, CFS framing shaved six weeks off the construction timeline. How much extra revenue did that allow the developer to earn? Incorrect: Because he could begin collecting rent payments earlier than expected, the developer in this project earned an additional $100,000. Correct: Because he could begin collecting rent payments earlier than expected, the developer in this project earned an additional $100,000. In what areas could you be saving? 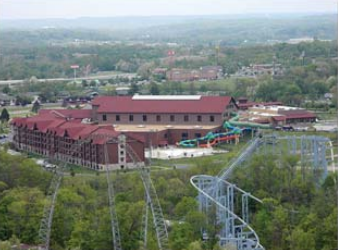 What is your biggest financial concern when planning a new project? The builder of a four-story, 190-unit condominium was able to save $300,000 in general liability insurance premiums and $100,000 in builders risk insurance by using CFS instead of concrete. In the construction of a hospital, the use of panelized CFS framing reduced the number of carpentry man-hours by 30 to 40 percent. 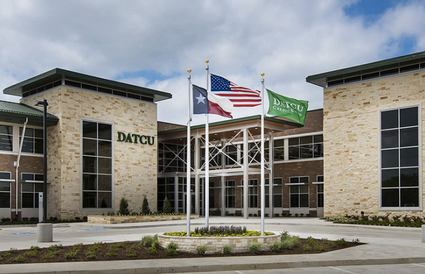 When constructing a credit union’s new headquarters, the use of CFS allowed the project to be completed five to six weeks early, saving nearly 40 percent on labor. In one office renovation, using CFS for the exterior walls instead of masonry wall construction saved $2.50 per square foot. 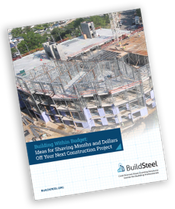 Material choice can impact your costs significantly over the entire construction cycle. What type of framing material do you plan on using for your next project? Steel framing’s strength-to-weight ratio significantly exceeds that of concrete. Strong and relatively lightweight, CFS systems reduce a building’s total load which, in turn, allows the owner to reduce costs beginning at the foundation. Since wood-framed buildings are highly susceptible to fire during the construction phase, many Canadian jurisdictions now mandate security measures including sprinklers, standpipes, after-hours lighting, and security guards — adding many unexpected costs. 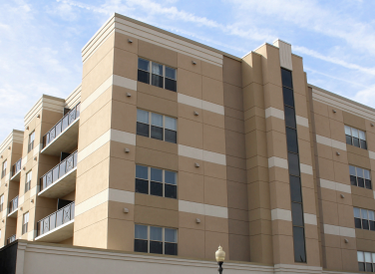 CFS framing has a proven track record of providing cost-effective benefits for mid-rise buildings. Steel is resilient, adaptable and durable, which reduces life cycle costs. Or, click here to go to the BuildSteel.org home page. ©2018 BuildSteel.org. All Rights Reserved.